The Great War battle of Arras in 1917 was designed to draw German reserves away from the south at the time of Neville’s French offensive on the Chemin des Dames. It saw the German army operate its ‘elastic defence’ for the first time at Monchy le Preux. The business eye here is drawn to the fine example of innovation and planning, and the lesson of underestimating your competition. A two hour drive north-east of Vienna, this is the site of Napoleon’s greatest victory. Lies, deception, belief, vision and the dangers of over confidence are the leadership lessons here. 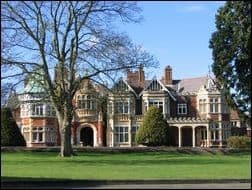 The original home of British secret intelligence, and the people who cracked the Enigma Code, allowing the Allied Powers to win the Second World War. This is a resounding success story, an organisation that grew from 10s of people to over 9000 at the end of the war, implemented industrialised processes and dealt successfully with unprecedented change to produce war winning intelligence. An ideal location to illustrate business challenges surrounding change management, rapid growth, working with a highly skilled workforce and business intelligence. 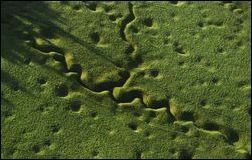 The replica Great War Trenches at Trench Farm have been painstakingly recreated, so much so that they are regularly used as sets in films and TV. An hour’s train ride outside London, they provide all the impact of Trench warfare for businesses on a tighter time frame. We delivered an event to HSBC’s Talent Management Pool here. 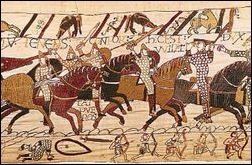 Hastings 1066, where one of the finest examples of pure leadership can deliver an in-depth discussion on decision making under pressure. Many other leadership, strategic and business gems here. A emotive location. With the Zulu Impi forced into this fight the business lessons of understanding the intent and knowledge of the opposition and the need for a sense of urgency are well examined. Many other business correlations are well exampled here that will allow wider thought. Sanitech’s management team benefited greatly from this experience. Surrounded by Zulus and against all odds this political face saver of a story ranks as perhaps the finest actions of the British Army. This location is all about survival, risk management and reliance on training, decision making under extreme pressure and culture. 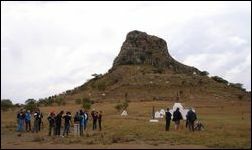 A fascinating story and is incorporated with the Isandlwana battle. This English Civil War battlefield provides an interesting platform to discuss leadership styles and outcomes. Following in the hoofprints of Prince Rupert and Oliver Cromwell, the opposing cavalry commanders, there is much here to debate. Corporate Battlefields delivered to Brother UK’s sales and marketing teams here in 2010. 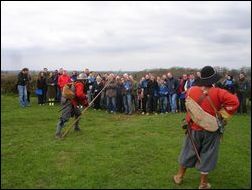 This English Civil War battle provides a backdrop of surprise. After a long march, the Earl of Essex surprised the Royalists and forced them away from Gloucester before beginning a retreat to London. King Charles rallied his forces and pursued Essex, overtaking the Parliamentarian army at Newbury and forcing them to march past the Royalist force to continue their retreat. Essex reacted by making a surprise attack on the Royalist lines at dawn, capturing several pieces of high ground and leaving Charles on the back foot. The workshop discussion outcomes for our Thames Valley Police clients came from ‘How more attention to a crime scene would deliver real term savings’. 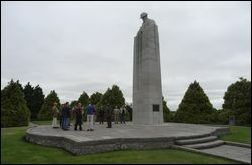 This Second World War battlefield offers a vast range of leadership platforms. It offers comparisons in leadership styles against the background of the greatest logistical operation in history. Events here demonstrate the importance of firm confident leadership to demand the highest standards of preparation and training. 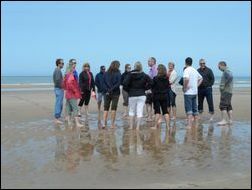 With its vast international backdrop the D-Day beaches have held Events for eBay, JTI, AbbVie, Kemira and Boeing UK. 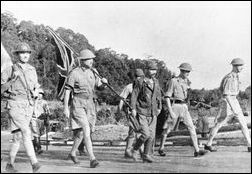 The Fall of Singapore is the greatest surrender of British troops in history. Known as the ‘Gibraltar of the East’, Singapore was a key stronghold in the Asia Pacific, and its loss was considered one of the greatest disasters of WWII. The Generals involved in the lead up to this battle had to struggle with crisis management, adapt to ever changing circumstances and damage control of events which they could not help. Post-recession, this is a great illustration of business challenges. The battle of the Somme is one of the bloodiest in human history. It is a harrowing illustration of a breakdown of communication, over reliance on assumptions from bad intelligence. Despite this it was a key milestone in the British war effort, and ultimately achieved its end state. This location is sure to resonate with management teams struggling to cope with industrialisation, communication and alignment. 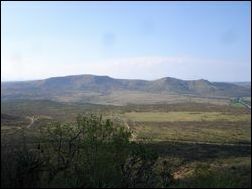 This battle was fought west-south-west of Ladysmith on the hilltop of Spionkop along the Tugela River, Natal in South Africa from 23–24 January 1900. It was fought between the South African Republic and the Orange Free State on the one hand and British forces during the Second Boer War in the campaign to relieve Ladysmith. It was a British defeat. With fantastic views on a clear day a business debate will encounter the parallels and the requirement for sound intelligence and innovation. This Napoleonic battlefield delivers an international perspective to an epic story. It demonstrates the importance of ‘higher intent’ and illustrates very clearly the Mission Command principles of Unity of Effort, Mutual Understanding and Timely and Effective Decision-Making. 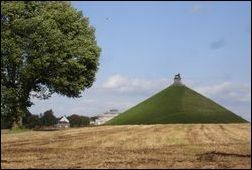 20 Kms south of Brussels it is easily accessible with very little coach travel required. Boeing International, BAE Systems, Eli Lilly, MartinAir, NATO and The Conference Board Events have been held there. 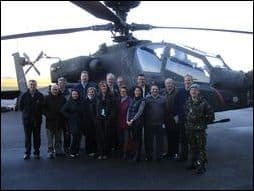 Army Air Corps Wattisham is the primary station of the Apache. Each aircraft returns from conflict battered and bruised, and in 12 weeks they are refitted and transformed back to new. A myriad of different teams work independently, but to a shared common goal. This a prime example of where the Army has perfected the working of different departments harmoniously through empowerment and trust, sure to resonate with large organisations and their business challenges. A good example of the leadership model Mission Command. Brother UK, CIPS, Albatross and the senior management team from Leventhorpe School gave favourable feedback from their experiences here. During World War I, Ypres was the centre of intense and sustained battles between German and Allied forces. Business can draw on these stories to learn lessons of quick decision making under the pressure of an unstable and risk filled environment. The risks of decision making to senior management. A personal event, ‘The Pity of War’, for NATO’s Secretary General Rasmussen, compelled him to bring his crisis management team to share that experience with us on the same battleground the following year.